The last two weeks have been... exciting, let's call it. This outfit was from Valentine's Day - the shirt is a gorgeous blouse by Samuel Dong (who I have just discovered and am now a touch obsessed with) that may just be the most perfect-fitting shirt I've ever owned. The material is a really interesting texture - a little bit rough, and holds its shape almost architecturally. And it's hard to see here, but it's one of my favorite shades of green: olive. 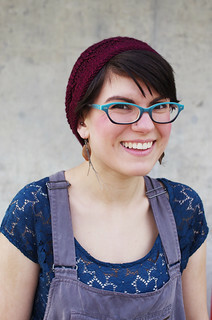 It took me a long time to love the olive, but I've found that in the right shade, it looks awesome with my complexion. When I suddenly got a flare-up of tendonitis in my left wrist, and subsequently didn't knit for five days. And whined. And buried my face in yarn a lot. The wrist is on the mend, so hopefully I'll be able to keep chugging along and have more to share soon! I will also have pictures of an amazing new coat, hopefully in the next couple of days, as long as the weather cooperates. On Monday, I had this much sock. And on Friday, I had this much sock. As of last night at 12 am, I have about two rows and a toe left to do, and precious little yarn with which to complete it. 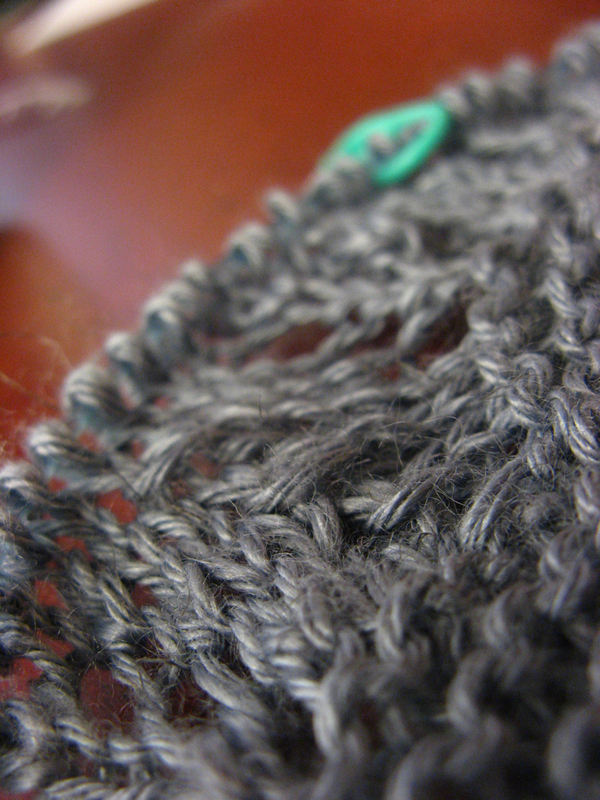 This part always feels like challenging the knitting gods just to see if they're paying attention. 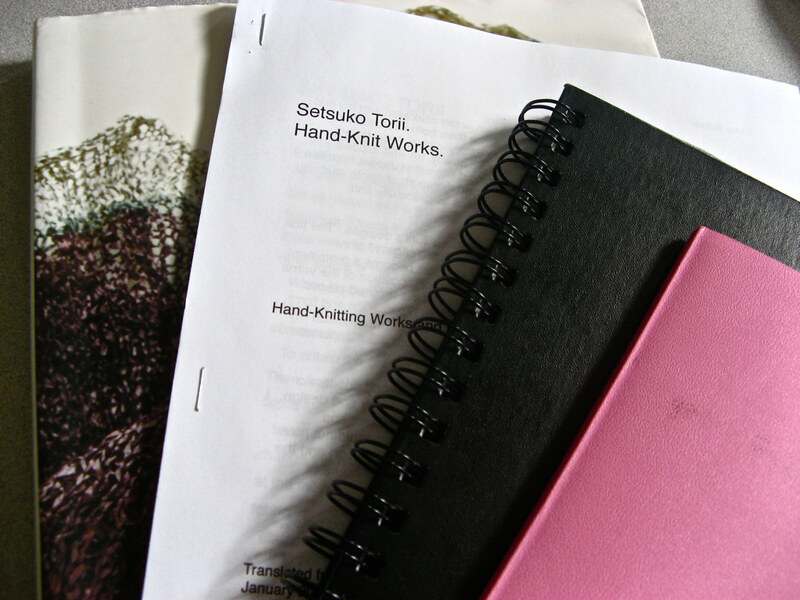 Which leads me to ask, since I'm taking a Japanese religion course: is there a knitting kami? Hmm. In other news, my Winter Term Capstone project is done. Translated, interpreted, typed, formatted (and formatted, and formatted, and formatted), and printed. I spent a good 30 hours on formatting alone. Now she's done and in the hands of my advisor. Two of the biggest obstacles before graduating were my Capstone (which is sort of like a senior thesis/senior project) and the last 14 credits of coursework this semester. Now, I'm 1/2 , and it feels like a huge weight has been taken off. Being around my yarn after so many months away from it has seriously restored my knitting mojo. 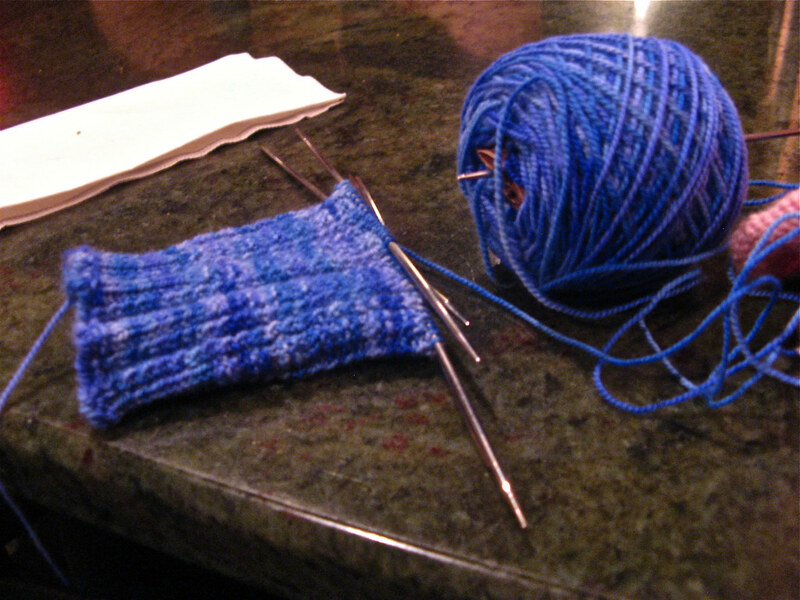 I finished the first Waving Lace sock last night, and immediately cast on for a different sock: Kai-Mei (rav link), from Cookie A's Sock Innovation. I've had this glorious green sock yarn in my stash for about two years, and inspiration struck last night. 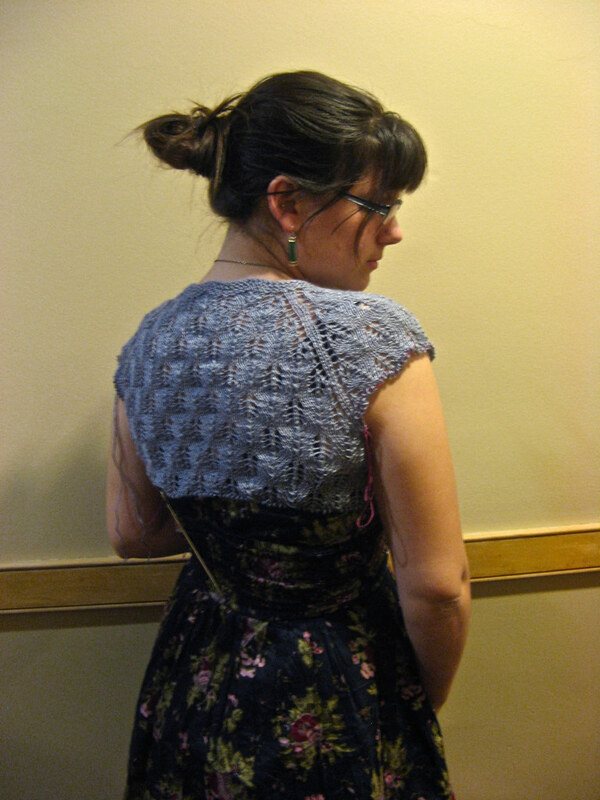 I did a long-tail cast on, which looks awesome with ribbing! 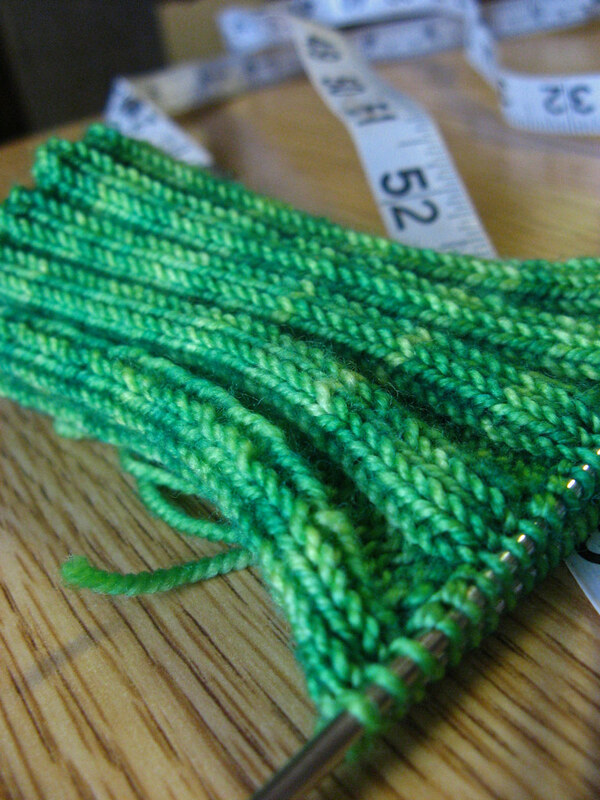 I prefer the cable cast-on for lacy cuffs, but it gives a really clean, stretchy edge for ribbed cuffs. 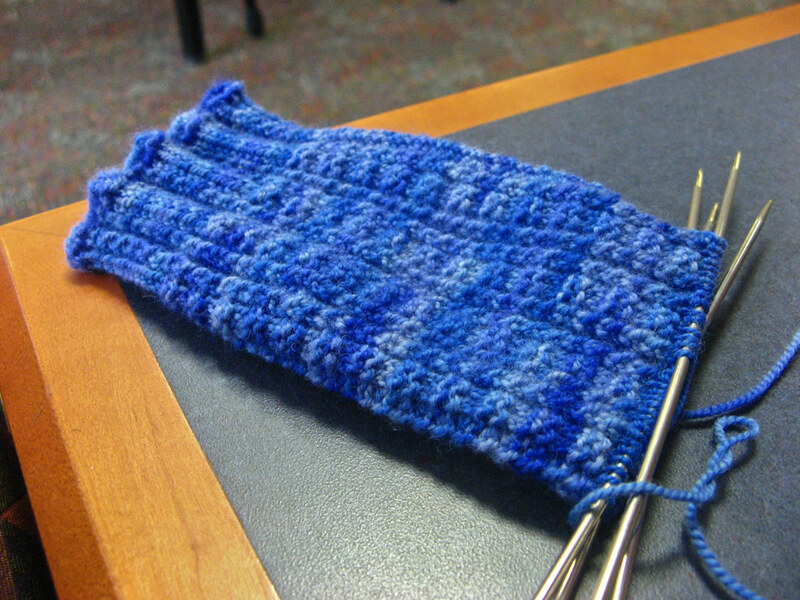 Now I just have to knit 6.5 inches of 3x3 ribbing before getting to the fun part. 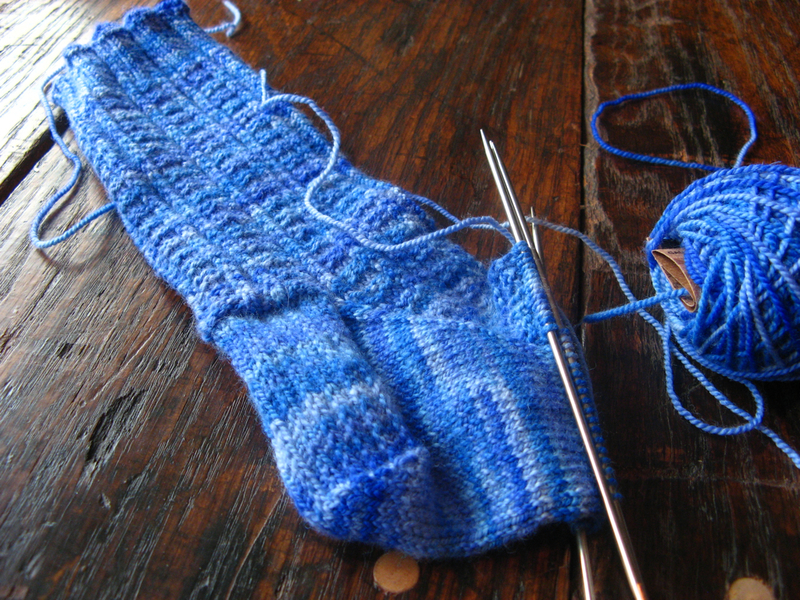 And, in defense of my casting on another sock before the second Waving Lace sock, I've found that I get tension issues if I knit a pair of socks right in a row - after memorizing the construction, my gauge loosens up and makes for a sock that doesn't fit quite the same as the other. See? Totally not even second sock syndrome at all.